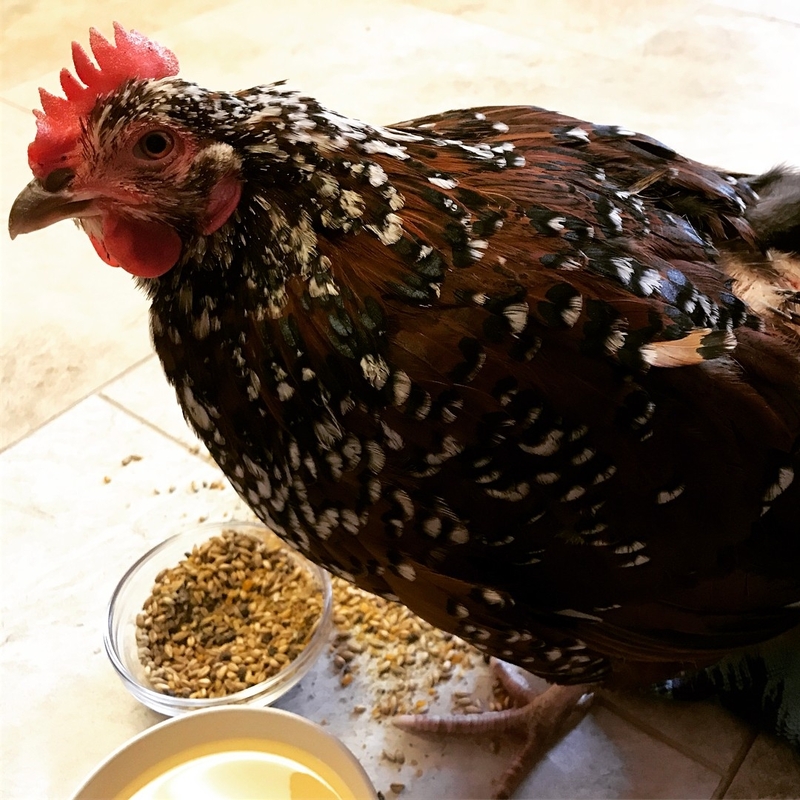 Gilly is a female speckled Sussex chicken that lives on Newbury Farm with a flock of 34 Heritage Breed hens, goats, and her human owners. Gilly has always had a tendency to, “do her own thing”---where she would often stray away from the other birds in her flock, to go explore another area of grass. She is a bit of an adventurer. However, on this occasion, Gilly paid the price from straying away from the flock. By isolating herself from the other birds, it made Gilly vulnerable to an opportunistic predator watching from nearby—the hawk. Hawks are very good at blending into their surroundings, and will often go unnoticed while they perch on nearby trees, telephone posts, or fence posts, and they will watch, and wait. The woods alongside the property (left photo) and Gilly (right photo). 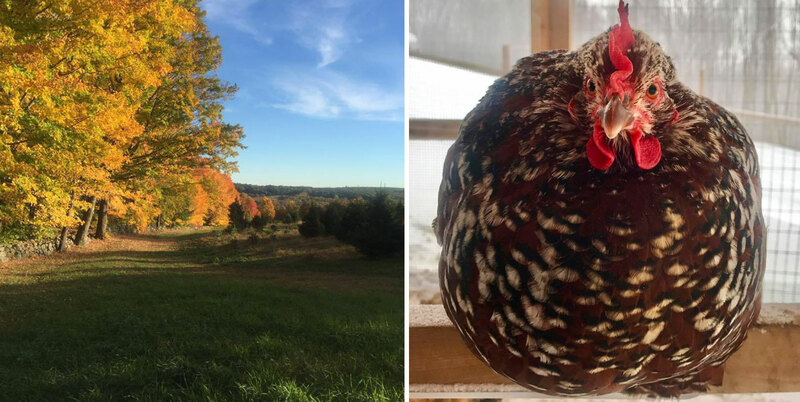 At Newbury Farms, because there are numerous types of predators in the area, the chickens are normally kept inside a fully-enclosed and predator-proofed outdoor run and coop. 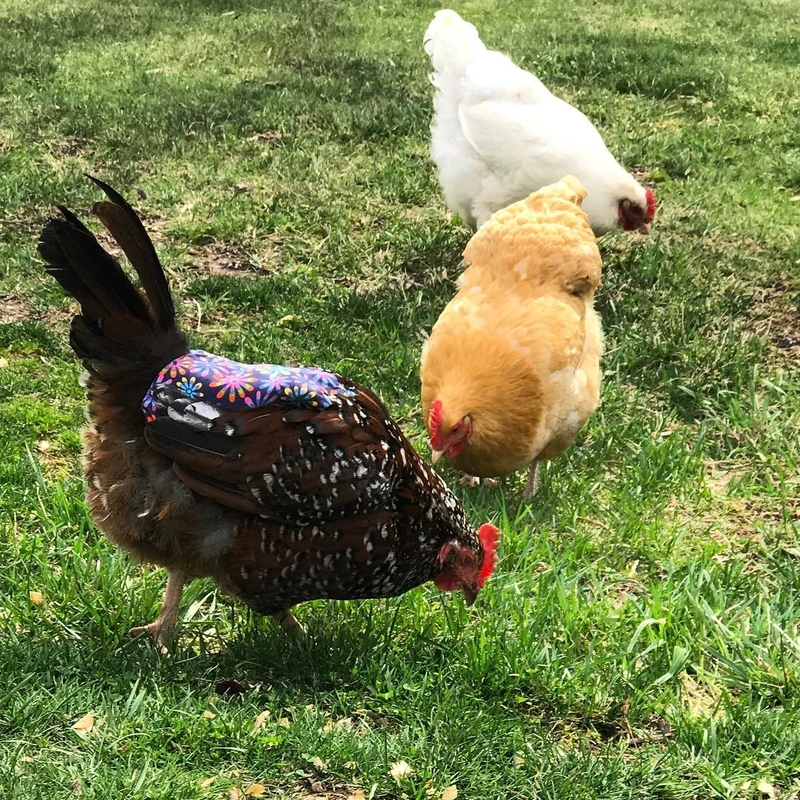 To protect against digging predators (such as foxes, coyotes, dogs, badgers, and skunks), the chicken’s enclosure is both fully attached to and surrounded by a 1 ½-foot skirt of ½-inch steel hardware mesh, buried 18 inches into the ground. To protect the birds from predators jumping inside or flying in from overhead, the same hardware mesh was installed along the top, creating a totally enclosed, safe structure. As an additional precaution, the coop has an automatic chicken coop door that has a light/rimed sensor via ChickenGuard, to secure the birds in at night while they sleep. 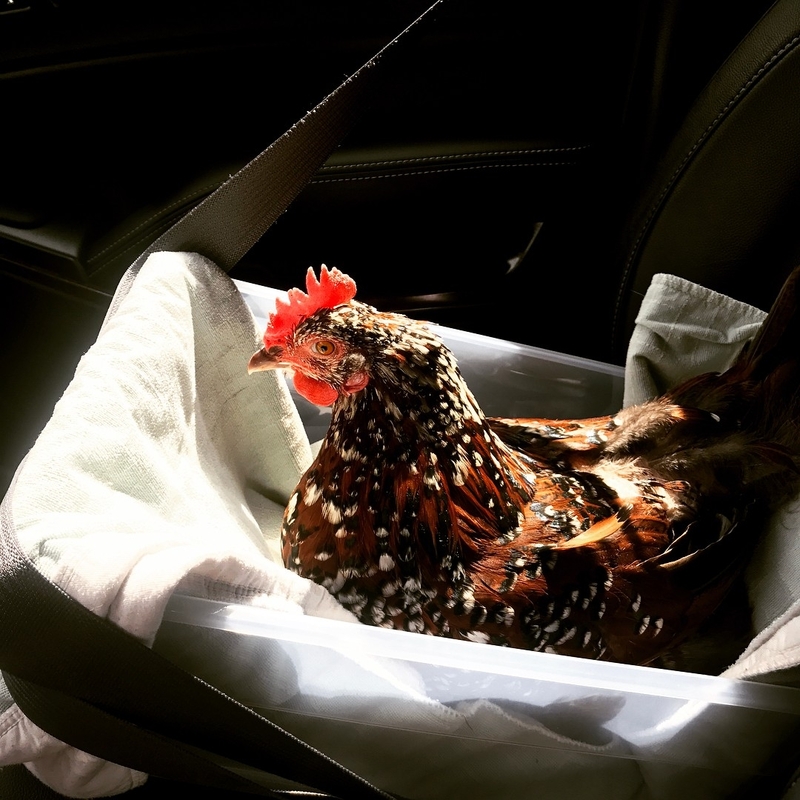 Although the chickens are normally safe and sound in their enclosure, when their human protectors were home and outside, they would routinely let the birds out to free range on their 3.5-acre property. Newbury Farms is located in Newtown, Connecticut, which is situated in the western portion of the State and nested just 20 miles south of the hills of the Appalachian Mountains. This area is known for its beautiful landscape---consisting of foothills surrounded by beautiful woods. One late Sunday afternoon, the first week of April, the flock were let out to free range as usual on the farm, while their humans worked on various projects on the property. The day started out as normal, when all of a sudden, a ‘predator alert’ sounded from flock’s alpha hen, Cersei. As soon as they heard the alert, their humans quickly jumped up in a panic and rushed over to the chicken’s enclosure and noticed that most of the hens were inside, although they were also hiding underneath of the coop. Once the birds realized that their humans were there to protect them, they started to slowly come out from hiding---all the hens but Gilly. 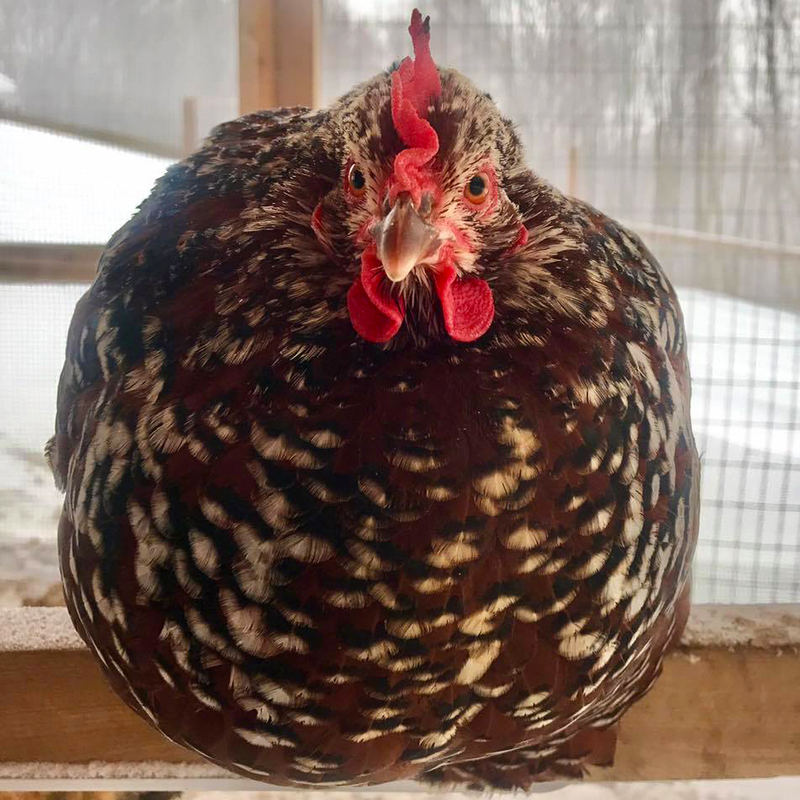 Gilly remained underneath the coop, and appeared to be very “fluffed up”. Her tail was down and she seemed very reluctant to come out---which was not like her. Gilly’s appearance and behavior were quite concerning to her humans---enough so that crawled underneath the coop to wrangle her out and into their arms. They examined Gilly’s body to assess what might be wrong with the little hen. 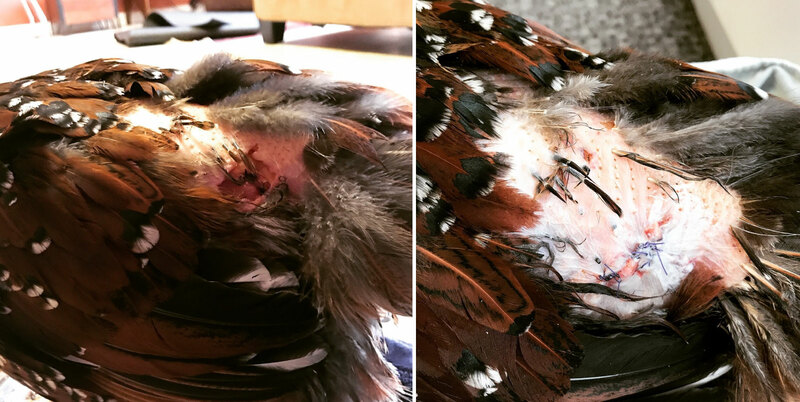 Upon lifting Gilly’s apron (which she was wearing because she was currently molting), her human’s noticed a 2.5-inch long deep laceration---that was so deep that muscle and adipose tissue was exposed. In addition, Gilly also had several smaller cuts which when viewed from above, looked just like the marks that would be caused by a raptor’s talons. 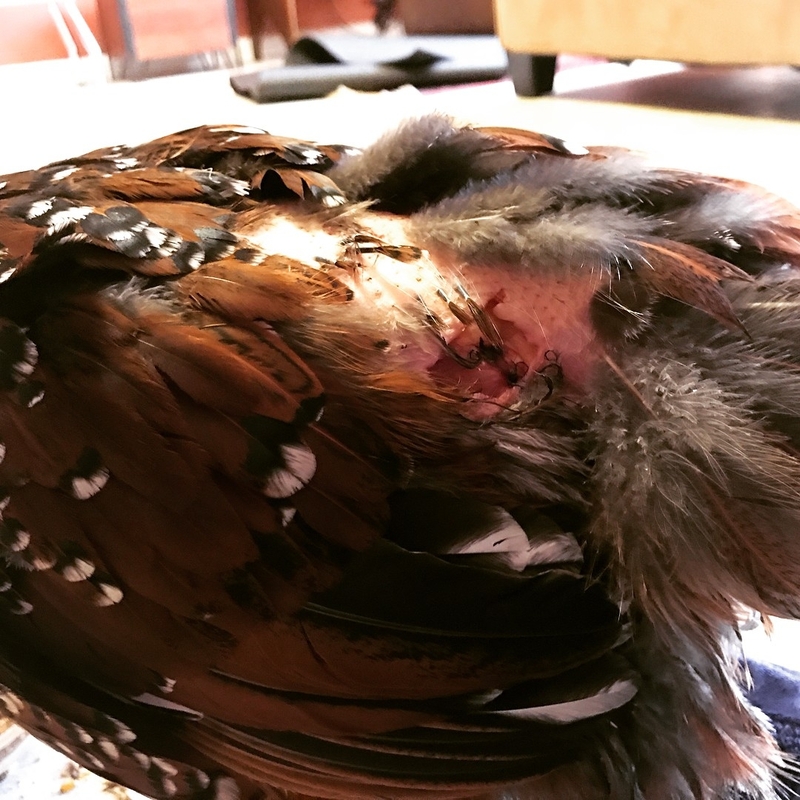 Since it was late in the day on a weekend Gilly’s humans knew that it was highly unlikely that they would be able to get Gilly in to see their veterinarian until the following morning, so they had to initially treat the wound for the night. Gilly resting after her attack. 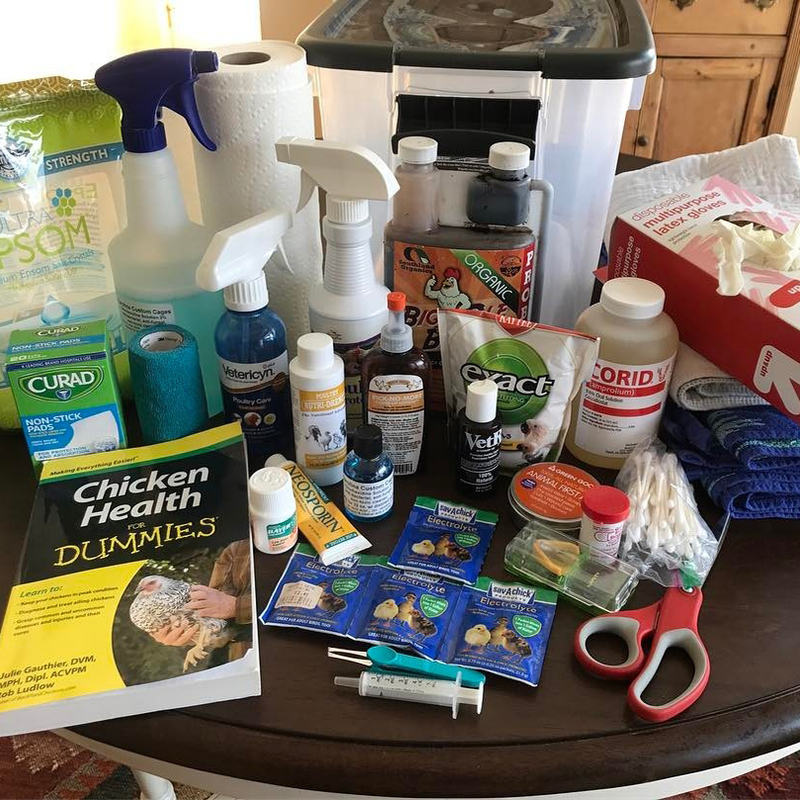 Thankfully, Gilly’s humans planned ahead, and kept a fully stocked first aid kit for their animals on hand. Gilly was relocated inside to the bathroom, and placed in the bathtub and positioned under the lukewarm running water. Using the water and Chlorhexidine solution, Gilly’s humans flushed and cleaned her back wounds, followed by a gentle towel dry and low-setting blow dry to ensure she was fully dry. Her humans wanted to try to limit any additional stress on her body that could otherwise result from being cold and wet. Once dry, styptic powder was applied to areas of the wound that were still bleeding, followed by Vetericyn VF spray. Gilly was set up to sleep in a specially designated and already set up, ‘Chicken Infirmary’ for the night, which consisted of a dog crate positioned in a central, quiet, and warm area of their house. Electrolyte powder and vitamins were added to Gilly’s water, for an immune system boost to help keep her body strong. She was also monitored that evening for any signs of shock. Early the following morning, Gilly’s humans called the Roxbury Animal Clinic located in Roxbury, CT and scheduled an emergency appointment for Gilly to see her veterinarian, Dr. Sarah Timm. Upon arrival, Dr. Timm was filled in to Gilly’s recent history, in relation to the previous days’ events and examined Gilly’s wounds. Dr. Timm recommended sutures for Gilly’s large laceration which she performed during the appointment. In addition to the stiches, Dr. Timm prescribed Gilly with Sulfamethoxazole and trimethoprim (SMZ-TMP) antibiotics, to be administered to her daily for 7 days. The medication came in tabs, which meant Gilly was going to have to eat it every day. Her human’s initially tried to hand-feed it to her in crushed form, on top of her regular feed. This didn’t work. Gilly refused to eat it. Her human’s resorted to dissolving the tablet in the water and syringe feeding Gilly the medication instead---which worked. 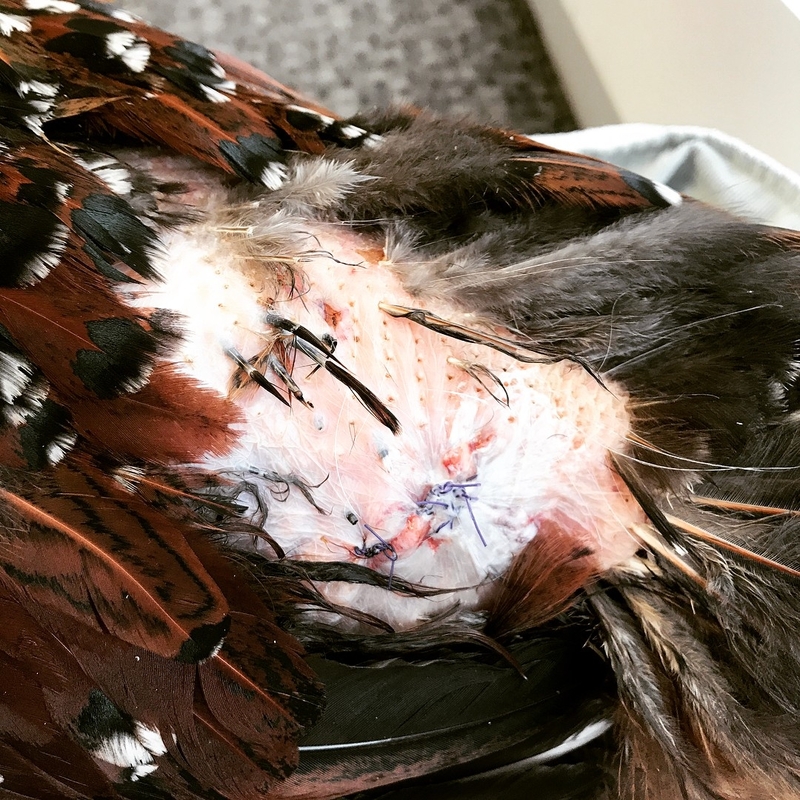 Dr. Timm had also recommended that Gilly’s wound and sutures get looked over daily, to keep an eye out for any signs of infection. Gilly’s humans also continued to spray her wounds with Vetericyn to help keep it clean. 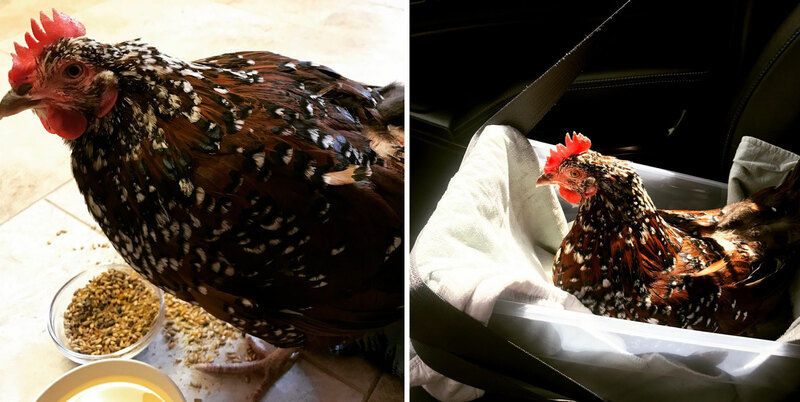 Since Gilly required antibiotics, it also meant that she was on a 30-day egg withdrawal period, so her eggs were removed from the rest and discarded. Within two weeks of the predator attack, Gilly was completely back to her old self, with only but a few scabby spots on her back. Just two weeks after the attack happened that late Sunday afternoon in April, Gilly was out free ranging again with the other members of the flock, however still wearing her apron to help prevent any self-pecking at the sutures and any curious pecks from the other birds. Newbury Farms are also now extra cautious about letting the bird’s roam too far from their sight while they are free ranging. Some additional hawk deterrents were installed around the property----such as CDs on strings, shiny ribbons, and other types of similar-like objects as an extra precaution. They also have young cockerels that they are hoping will be their next generation of flock protection, for roosters are known for being good protectors of their flock. 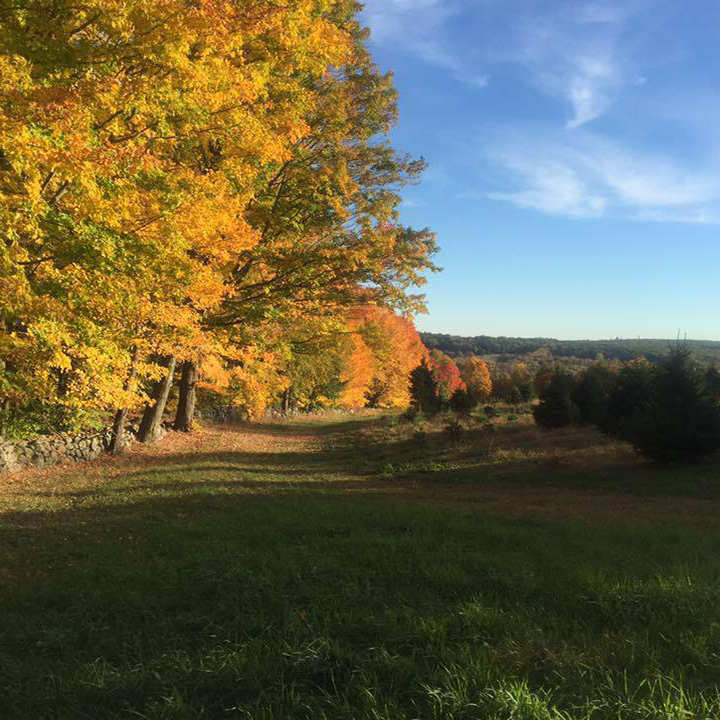 Newbury Farms is a 3.5-acre heritage-breed farm situated in Newtown, CT. The farm focuses on conserving heritage breed chickens and goats. They actually just added three Arapawa doelings to breed at their farm this Spring 2017. For those of you who are unaware, Arapawas are critically endangered goats from New Zealand, with their numbers in the low-hundreds worldwide. Roxbury Animal Clinic (RAC) is a mixed animal veterinary practice serving greater Litchfield County, Connecticut. RAC offers services in large and small animal medicine and surgery. The practice includes four veterinarians—Dr. Mark Carlson, Dr. Chanin Miller, Dr. Sarah Timm, and Dr. Paul Elwell. Dr. Timm is originally from Ridgefield, CT where she grew up with horses, dogs, cats and chickens. Heritage breeds are rare breeds of livestock and poultry that are part of our national heritage and represent a unique piece of the earth’s biodiversity. For more information visit The Livestock Conservancy Organization’s website, which provides a complete listing of which breeds that are considered heritage breeds and much more. The organization’s mission is to protect endangered livestock and poultry breeds from extinction.